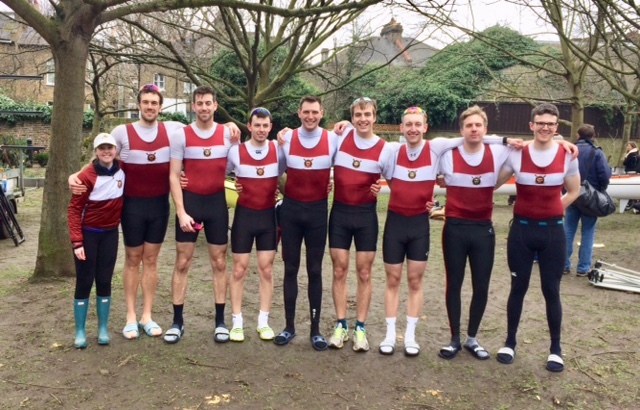 FOR the first time in many years Stratford Boat Club entered a men’s eight into the prestigious Head of the River race and the crew exceeded their pre-race target of a top 100 finish by clinching 70th place. 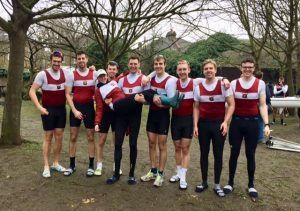 This annual event is rowed over four-and-a-half miles on the Tideway in London from Chiswick to Putney – effectively the reverse of the Oxford versus Cambridge Boat Race. Some 330 crews from all over the UK and Europe descend on the River Thames to finish the head racing season in style. Raced against the clock, each crew sets off in turn, being chased by the crew behind whilst trying to catch those in front, often leading to much blade-clashing and frank exchanges of views. 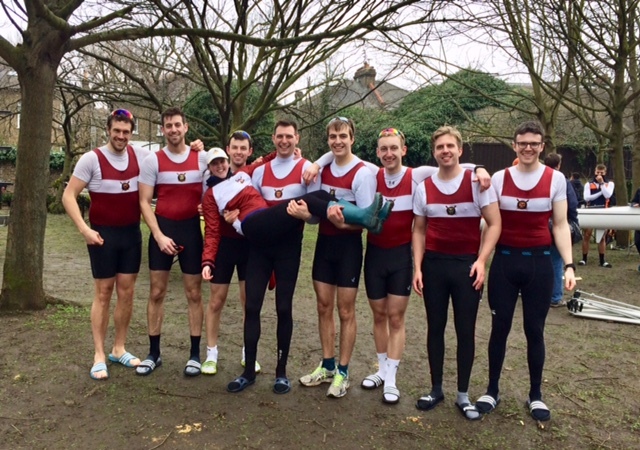 Stratford’s men’s eight have trained hard and gelled well over the last eight weeks and, after some decent performances at Worcester Head and Head of the Trent, the crew were hoping to break into the top 100 in the capital. 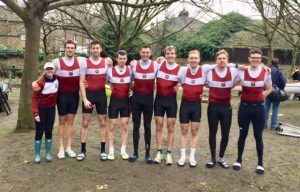 The squad, made up of cox El Willets, stroke man Alastair Collier, Tom Coles, Ben Twiney, Mike Hourigan, Ed Lewry, Ed Press, Edwyn Brighty and Stuart Lyons, bettered those expectations by finishing 70th. Starting off number 131, the crew got off to a strong start and hit their racing rhythm soon after Barnes Bridge. By the time the crew had reached Hammersmith Bridge, they had caught up with three of the crews in front of them. Cox Willets took a tight line on the inside of bend to sweep the Stratford men through the competition and then stroke Collier wound up the rate at Craven Cottage (Fulham FC) to bring the crew home in style. Their coach Bill Sullivan said: “It’s a terrific performance by the whole crew. 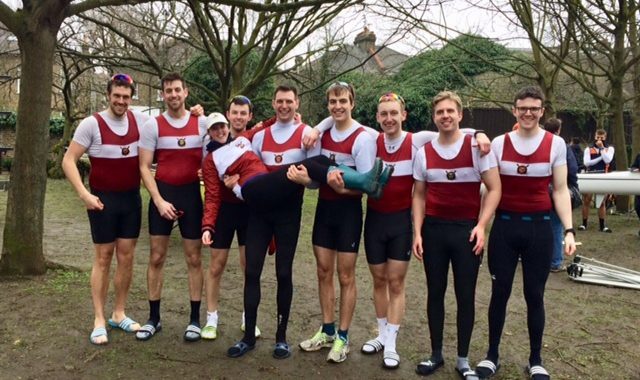 Breaking into the top 100 at the Head of The River is a key target for any serious rowing club and breaking into the top 70 exceeds expectations. The squad now head off to the south of France for a training camp at the end of March before targeting some of the major summer regattas including Henley Royal Regatta. ← The Battle of Worcester!